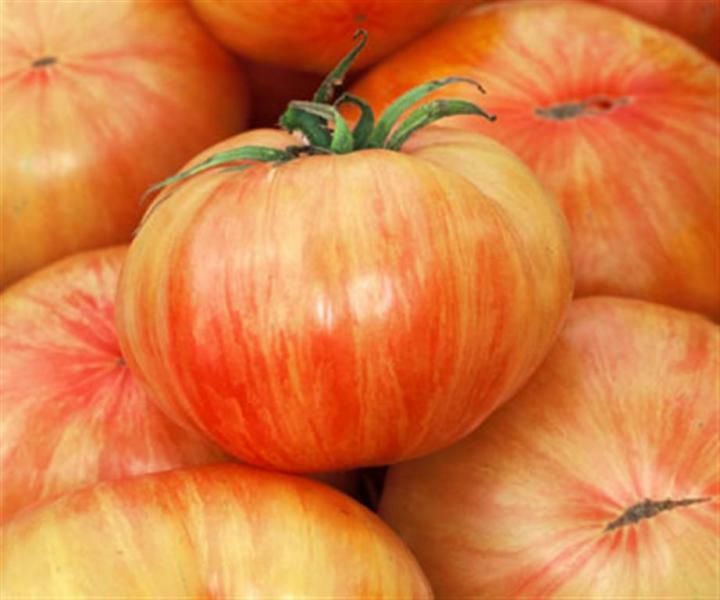 These very beautiful tomatoes are a stunning combination of fine-lined golden yellow and red stripes. While visually exciting, the real treat comes when you cut them open. Their pale gold flesh is streaked with red and is very juicy, flavorful, and sweet.